The scourge of spam, clickbait and phishing attempts that has plagued the Web for years is getting worse. Google says it disabled more than 780 million "bad ads" globally last year, a 49 percent increase over 2014, according to a new Google report. The company said it shut down 524 million misleading or potentially harmful ads in 2014 and removed 350 million bad ads in 2013. For perspective, it would take an individual nearly 25 years to look at the 780 million ads Google removed last year for just one second each, according to Google. Bad ads include ads for counterfeit products, misleading or unapproved pharmaceuticals, weight loss scams, phishing ploys, unwanted software and "trick-to-click" cons, in which ads "mislead or trick people into interacting with them." If the past years' trend continues, Google's algorithms and its team of more than 1,000 staffers dedicated to killing spam will be even busier in 2016, and they could disable more than a billion junky ads. Google also said it suspended more than 10,000 sites and 18,000 ad accounts for attempting to sell counterfeits goods, including Gucci handbags and Ray-Ban sunglasses. Trick-to-click ads were among the worst offenders in 2015. Google rejected more than 17 million of them last year. The company also did away with more than 12.5 million ads that violated its healthcare and medicines policy. Most of these shoddy pharmaceutical ads hawked drugs that weren't legally approved or made false claims. 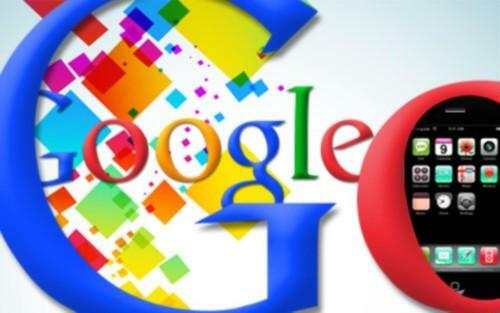 Google said it blocked almost 7,000 sites for ads that hosted phishing attempts and more than 10,000 sites for offering unwanted or potentially-harmful software, which resulted in a 99-percent reduction of unwanted downloads via Google ads, according to the report. Ads for drugs that promised dramatic weight loss were a major pain point for users in 2015, and Google said it deleted more than 30,000 sites for such ads. The company stopped showing ads in more than 25,000 mobile apps and rejected more than 1.4 million ad-account applicants for failing to follow the its ad policies. And users sent Google 4 billion feedback submissions to report various issues with ads last year, according to the report. In the future, Google said it plans to continue the war on bad ads with refined restrictions on suspect weight loss products and new protections against malware and bots.